Poniżej zamieszczono życiorys i sylwetkę naukową prof. dr hab. Włodzisława Ducha. 1987 Habilitation (D.Sc.) in many body physics. Thesis title: Graphical representation of model spaces., published by Springer Verlag, Berlin (1986); thesis won the Ministry of Education Award. Granted by Nicolaus Copernicus University. 2004-2007 Visiting Professor, Nanyang Technological University, School of Computer Engineering, Department of Computer Science, Singapore (6 month each year). 2003 Senior Fellow, Nanyang Technological University, School of Computer Engineering, Department of Computer Science, Singapore (sabbatical). 2001-2002 President, Executive Board of the Kopernik.pl company (March 2001, the company existed till the end of 2002). Since 2000 Position of the “Professor Ordinarius” (prof. zwyczajny). Since 1998 President, DuchSoft research and development company. 1990-1999 Associate Professor (Profesor Nadzwyczajny), Nicolaus Copernicus University, UMK, head of the Department of Computer Methods, Torun, Poland; teaching, research, administration, member of countless commitees. 2000 Visiting Professor, Meiji University, Kawasaki, Tokyo, Japan; 1 month, research. 1997 Visiting Scientist, Max-Planck-Institut für Psychologische Forschung (MPPF), München, Germany; 1 month, research. 1997 Visiting Professor, Artificial Intelligence Department, Louis Pasteur Universite, Strasbourg, France, 1 month, research. 1996 Kyushu Institute of Technology, Faculty of Computer Science and Systems Engineering, Senior Research Fellow, Iizuka, Fukuoka, Japan; 3 month, research. 1995 Visiting Scientist, Center for Neural Networks, King’s College, London, and IUT, Université de Champagne, Reims, France, research. 1994 Rikkyo University, Department of Chemistry, Senior Research Fellow, Tokyo, Japan; 3 month, research. 1992 Visiting Professor, Department of Chemistry, University of Alberta, Edmonton, Canada; 1 month, research. 1991 Visiting Professor, Department of Chemistry, University of Alberta, Edmonton, Canada; 5 weeks, research. 1990 Visiting Professor, Quantum Theory Project, University of Florida, Gainesville, Florida; 6 weeks, research. 1989-1991 Visiting Scientist, Max-Planck-Institut für Astrophysik (MPA), Garching b. München; 3 month each year, research. 1988 Visiting Professor, Department of Chemistry, University of Southern California, Los Angeles, California; 1.5 month, research. Visiting Scientist, Max-Planck-Institut für Astrophysik (MPA), Garching b. München; 1.5 month, research. 1988-1991 Vice-president for computing, Nicolaus Copernicus University. 1988-1990 Associate Professor (Docent), Nicolaus Copernicus University, Institute of Physics, Torun, Poland; teaching, research, administration. 1987 Visiting Scientist, Institute of Theoretical Physics, Stockholm University, Stockholm, Sweden; 1 month, research; Visiting Scientist, MPA; 3 month, research. 1985-1987 Alexander von Humboldt Fellow, MPA (1.5 years). Max-Planck-Institut für Astrophysik (MPA), Garching b. München, Germany; 1.5 month, research. 1984-1988 Adiunkt (Assistant Professor), Institute of Physics, Nicolaus Copernicus University, Torun, Poland; teaching and research. 1984 Visiting Scientist, Max-Planck-Institut für Astrophysik (MPA), Garching b. München, Germany; 3 months, research. 1980-1982 Postdoctoral fellow, Department of Chemistry, University of Southern California (USC), Los Angeles, California; 2 years, research. 1980 Asystent (Teaching Assistant), Institute of Physics, Nicolaus Copernicus University, Torun Poland; teaching and research. Behavioral and Brain Sciences (BBS) associate, since 2003. Cognitive Neurodynamics (Springer), since 2006. Cognitive Science and Media in Education, scientific secretary, since 1998. Computer Physics Communications (North Holland), Special Editor (1994-2007). IEEE Transactions on Neural Networks, books and media editor, appointed 2000, 2002, 2004.
International Journal of Information Technology and Intelligent Computing, editor, since 2006.
International Journal of Computational Intelligence, editor, since 2004.
International Journal of Neural Systems (IJNS), World Scientific, Editorial Advisory Board, since 2005.
International Journal of Signal Processing, editor, since 2004.
International Journal of Transpersonal Studies, editor, 2001. Journal of Artificial General Intelligence (JAGI), sicne 2008. The Journal of Mind and Behavior, assessing editor, 2002. Neural Information Processing Letters and Reviews, since 2003. Machine Graphics and Vision, since 2003. Nonlinear Biomedical Physics, Open Access journal (BioMed Central, London), since 2006. Handbook of Natural Computing: Theory, Experiments, and Applications, Springer, advisory board, since 2008. European Union expert in the 5th Framework Program in the “Life Sciences” panel, Marie Curie program, 2000-2002. European Union expert in the 6th Framework Program in the “Life Sciences” panel, 2003/05. European Union COST Action BM0605: Consciousness: A Transdisciplinary, Integrated Approach, since 2008. European Union COST Action BM601 Neuromath, Advanced Methods for the Estimation of Human Brain Activity and Connectivity, since 2007. European Union COST Action B27 Electric neuronal oscillations and cognition (ENOC) working group, 2006-08. Polish Committee of Scientific Research, reviewer for VIII (1994), IX (1995), X (1996) calls, section (T11E), Medical Technologies. 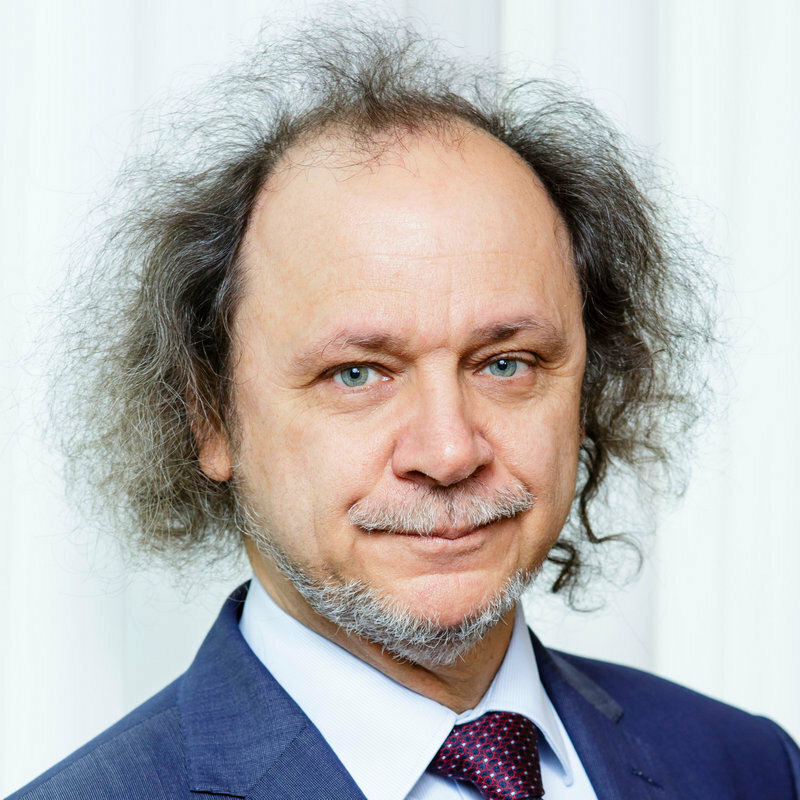 Reviewer of the Polish Ministry of Education (since 1994-now). Reviewer of the Polish Committee of Scientific Research, mostly for section T11E, “Medical Technologies". Association for Computing Machinery (ACM) individual member since 1990. Computational Physics Section, PAN Committee of Physics, founding member 1997. European Neural Network Society, President 2006-2008, second term 2009-2011; President-elect 2005; member of the executive committee 2001-2004; individual ENNS member since 1993. European Physical Society individual member since 1984. IEEE individual member since 1997; senior member 2002. IEEE Computational Intelligence Society, CIS Technical Committee member, since 2003. IEEE Neural Network Society (previously NN Council), active member since 6/1997, NNS Technical Committee member. International Neural Network Society; INNS Board of Governors member, 2003.
International Brain Research Foundation Scientific Advisors. Lifeboat Foundation Scientific Advisory Board. Open Systems and Information Dynamics Society (formerly “Polish–Japanese Society”); member of the board, 1992-1995, 1999-2003 (elections are every year). Polish Academy of Sciences, Polish Neurobiological Committee, member of the board, 2007-2010. Polish Academy of Sciences, Computational Physics Section. Founding member (1997), vice-president (2001). Polish Academy of Sciences, Committee on Automatics and Robotics, Neural Networks and Fuzzy Logic Section, member (since 2000). Polish Chemical Society; Quantum Chemistry section, since 1980. Polish Cognitive Science Society; founding member, on the executive board 2002-2004. Polish Neural Network Society; founding member, on the board since 1995. Polish Physical Society; member since 1977, secretary of the Toru´n chapter 1989-91; member of the board 1988-1992. Polish Transpersonal Society; founding member 1993. Societas Humboldiana Polonorum, member since 1993. Nicolaus Copernicus University, member of the professors club, since 2001. SRM Deemed University, Chennai, India, member of the International Advisory Board, since 2004. INEB-Instituto de Engenharia Biomédica, Porto, Portugal, external advisory council (since 2008). Programming: FORTRAN (Fortran 77 and 90), Matlab, WATFIVE interactive, various dialects of PASCAL, LOGO, BASIC; SPEAKEAZY, dBase IV and older, Lotus 123, Framework IV and older (Fred language); symbolic algebra languages Mathematica, Maple, Reduce; HTML. Computer systems: UNIX (Standard, AIX, Sun OS/Solaris), MSWindows 3.1/95/NT/2000, MS-DOS, CP/M, TSO, CMS, Amos, Amis, IBM 360/370 systems JCL and utilities, CRAY system, VMS. Applications: MS Office, Lotus Smartsuite, TEX and LATEX typesetting systems, various DOS shells: Norton, Xtree, Xtpro, PCTools, Desqview, many other application packages. Artificial intelligence, computational intelligence, neural networks, machine learning, fuzzy and rough logic. Cognitive science, introductory courses, including philosophy of mind, neurobiology, brain and behavior. Computer science, introductory courses, introductory programming courses in Fortran, Pascal, Logo, applications and networking. Physics, basic and advanced quantum mechanics, field theory (classical), foundations of physics, elementary and advanced quantum chemistry, atomic and molecular physics, group theory, computer methods in physics. About 40 popular articles in many journals. 2 major awards for popularization of science (1983, 1984). In no particular order: music of all kinds; musical instruments (collection of flutes, Electronic Wind Instrument AkaiPro EWI400s); scuba diving (holding Advanced Open Water Diver certificate), oriental philosophy (Chinese, Indian, Japanese, Korean), especially meditation schools, frontiers of science and technology, brain research, psychology, artificial intelligence, cognitive science, science-fiction, Hi-Fi and digital sound/video. Neurocognitive informatics, or algorithms that are inspired by brain functions, including imagination,intuition, insight and creativity. Theory and applications of computational intelligence, including neural networks, similarity-based systems, relations with fuzzy systems, pattern recognition, artificial intelligence, selection of relevant information, visualization of multidimensional data and relations, meta-learning techniques. Natural language processing, computer linguistics, information retrieval and extraction, connections with human memory models, word games, medical informatics, semantic internet. Education: infant learning and development, testing cognitive, motor and perceptual functions, new educational programs, application of computers in education, development of computational science educational programs. Older research areas I was working in: Computer physics, computational methods of quantum chemistry, electron correlation problem, in particular variational methods of the configuration interaction type. Group theory, including the symmetric and the unitary group theory, properties of non-abelian symmetry groups; theory of graphs, graphical representations of tensor Hilbert spaces, nuclear physics theory, shellmodel methods in nuclear physics; spin functions, construction, properties, spin-dependent problems; Jahn-Teller effect in molecules, vibronic couplings, harmonic oscillators. Software engineering tools and methods, object-oriented programming; numerical analysis: partial diagonalization of very large sparse matrices. 2005-2007 Selection of information. KBN, principal investigator, no. T11C-07128. 2005-2007 Meta-learning. KBN, co-principal investigator. 2000-2002 Theory and applications of computational intelligence. KBN, principal investigator, no. 8 T11C 006 19. 2000-2001 Application of similarity based methods to analysis of medical images. KBN, with Karol Grudziński, no. 8 T11E 042 19. 2000-2001 Application of the neurofuzzy FSM system to analysis of experimental data. KBN, with Rafał Adamczak, no. 8 T11F 019 19. 1999-2001 Similarity-based reasoning systems with applications in science and medicine. IBMBF-KBN POL- 040-98, principal investigator on Polish side (IBMBF, Internationale Büro (IB) das Bundesministerium für Bildung und Forschung). 1998-2000 Med-Uni project, Stefan Batory Foundation, grant director. 1995-1997 Neurofuzzy systems, KBN, principal investigator. 1995 Development of electron correlation methods based on intermediate hamiltonians. (principal investigator on the Polish side, with prof. J-P. Malrieu on the French side). Cooperation scientifique entre la France et la Pologne, KBN/Le ministre francais des affaires etrangeres, No. 114. 1995 Intelligent software for chemistry, European Union COST project. W. Duch, first co-investigator, in collaboration with Max Planck Institute of Astrophysics (Garching b. Munchen, prof. Diercksen, principial investigator), Belfast (Ireland), Bratyslawa (Slovakia), Groningen (Holland), Leeds (UK) and Espoo (Finland). 1994 Rikkyo University, Tokyo, Research Award, 3 month. 1992-1995 CEC TEMPUS Office, “Computer Based Education”, 3 years; budget 196.000 ECU in 1992/3, 279.000 ECU in 1993/4 and 310.000 in 1994/5; coordinator of the program. Participating institutions: Nicolaus Copernicus University (main beneficiary), University of Cambridge and University of Leeds (UK), Paul Sabatiér University and Universite de Champagne in Reims (France), Max Planck Institute of Astrophysics and the Technical University of Munich (Germany). 1986-1987 Alexander von Humboldt Stiftung, Germany; “Application of symmetric group methods in quantum chemistry”, research support for 18 months, additional support (around 20.000 DM) for equipment and books.